Roger Michell was in over his head directing this film, and it showed. I don’t mean to suggest that he’s an unproven amateur who doesn’t know filmmaking, but his previous experience didn’t help him here. Notting Hill, Changing Lanes, Venus, Hyde Park on Hudson; none of these films is outstanding, all have flaws, and they didn’t help Michell prepare for this genre. Period pieces might be a dime a dozen, but they are shockingly hard to get right, even if audiences tend to give them the benefit of the doubt, in as much as we are usually excited by their possibilities, if not always their execution. It takes real skill to produce a solid, dark, brooding, dramatic period piece, something like Jane Eyre, it doesn’t just happen when you put on the costumes, and Michell just wasn’t able to achieve his goal. Philip Ashley, orphaned as a child, was raised by his cousin Ambrose by the Devon cliffs, and learned to love the man like a father. They shared a strong family resemblance, they both loved the outdoors, and neither felt it necessary to settle down with women in the house and forge a more traditional life. But time flows on, Philip went off to school, returned to find Ambrose in poor health, and watched as his guardian moved South to warmer climes. The next big change came when Ambrose was married, and then suddenly died, leaving his estate to his ward, with no mention of his new wife. Rachel, a cousin as well, also half-Italian, comes to England to meet Philip, and the two fall desperately in love. Or do they, and what exactly is Rachel’s plan, now that her wealthy husband has died? Will Philip see through her charms, are they genuine after all, or is money to root of all evil? This story is slightly boring, as far as period pieces go, without much more than the bare bones of a mystery and without much dramatic energy either. 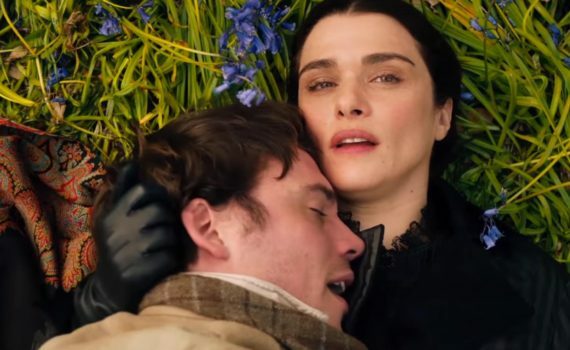 While Lady Macbeth tries so hard to be dark and fascinating but doesn’t have the talent to finish, My Cousin Rachel has all the talent in the world but doesn’t seem to be trying very hard at all. Its lackluster attempt at dramatics is off-putting as well as dull, and perhaps the novel it is based on isn’t the best, which is why you’ve never heard of it, but then why was it chosen to be adapted into a film? I like Weisz, she can do almost no wrong, Grainger is a strong young talent, and I recognized Iain Glen from Downton Abbey, so the acting was not the main problem. I didn’t love Claflin, he’s not my favorite, he wasn’t wonderful in Their Finest either, but he does a passable job as a hormone-addled young man who has no idea what is going on in the minds of others, so I don’t lay much blame on him. It think the film lacked good direction, its base wasn’t impressive, and the result was a mediocre period piece, which isn’t a very forgiving style in the first place.